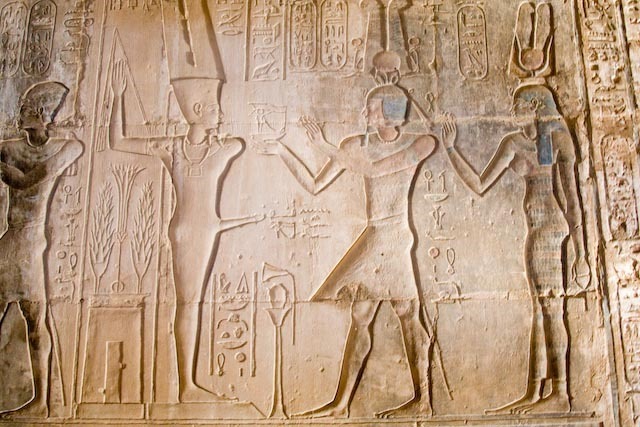 Luxor is known for a few key things – the Valley of the Kings, Valley of the Queens and Karnak temple. Our tour guide explained that many people on Nile cruises hit those key sites in a single day, then head out. He suggested we take a different approach. 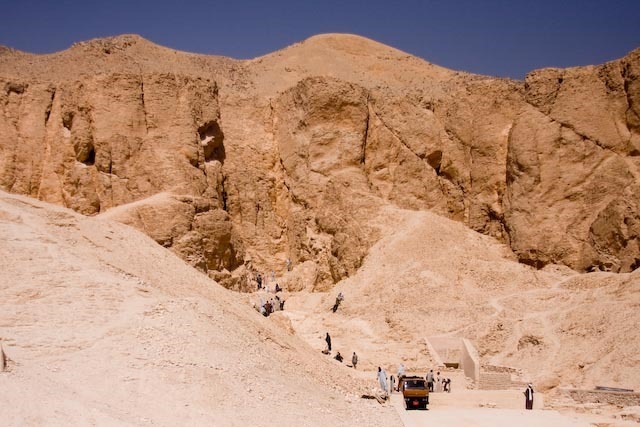 The Valley of the Kings (Arabic: وادي الملوك Wadi Biban el-Muluk; "Gates of the King") is a valley in Egypt where for a period of nearly 500 years from the 16th to 11th century BC, tombs were constructed for the kings and powerful nobles of the New Kingdom (the Eighteenth through Twentieth Dynasties of Ancient Egypt). The valley stands on the west bank of the Nile, across from Thebes (modern Luxor), within the heart of the Theban Necropolis. The wadiconsists of two valleys, East Valley (where the majority of the royal tombs situated) and West Valley. 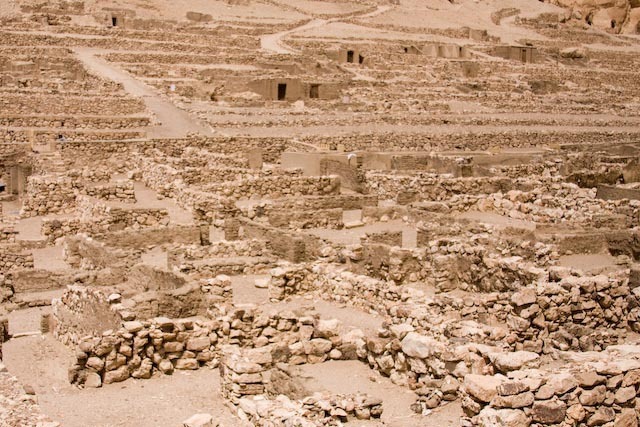 The area has been a focus of concentrated archaeological and egyptological exploration since the end of the eighteenth century, and its tombs and burials continue to stimulate research and interest. 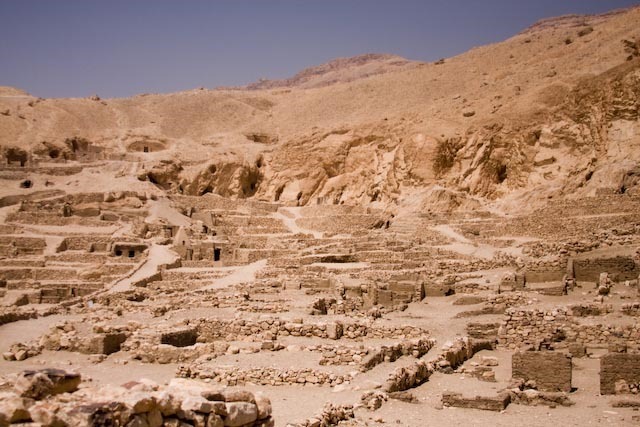 In modern times the valley has become famous for the discovery of the tomb of Tutankhamun (with its rumours of the Curse of the Pharaohs), and is one of the most famous archaeological sites in the world. In 1979, it became a World Heritage Site, along with the rest of the Theban Necropolis. It is an amazing tour, the only downside being that you are not allowed to take pictures in the tombs. They will also confiscate your video camera at the entrance (unless it looks like a camera). All around the valley, work continues as men excavate. I was still left wondering – what was in these tombs? 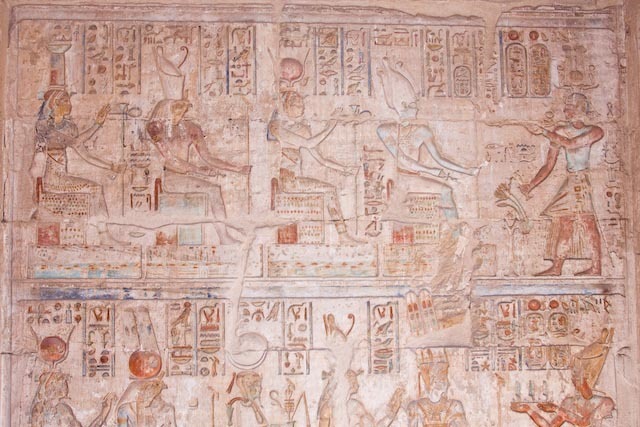 If King Tut’s tomb had so much, what wonders were in a major tomb? We will never know. The entrance of a tomb. 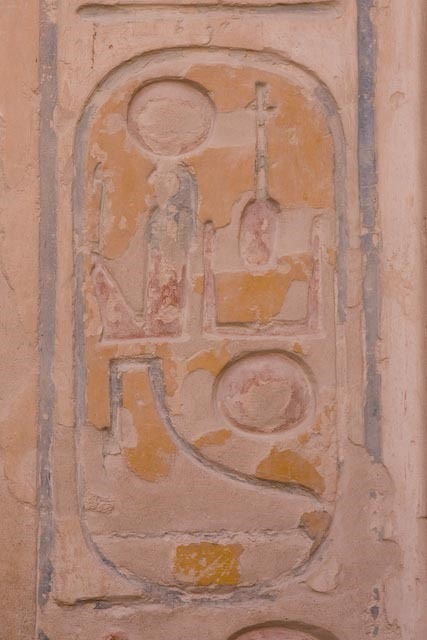 The circle represents the insignia of the Pharaoh – called a cartouche. The workers excavating. All I can say is that in 40 degree heat, it must be hot work. In the summer, tourists go at 530AM as it is in the 50s by 10 am. Perhaps this is the video of the roof of a 3000 year old tomb taken by someone who put his video camera on his arm and swung it around without making it look like it was on … or perhaps not. Truly amazing and must be done. The vibrant nature of many of the tombs is stunning. As we moved to escape the market (the guide had warned us – they are aggressive), this guy latched onto me trying to sell me small figurines. I was not interested but he kept at it, $20USD for 3, $15USD for 3, $10USD for 3, $8USD for 3. We are getting close to the parking lot – I am not bartering – just not interested and almost out of USD (personally – with home much these guys make – I refuse to barter them, I can afford it) …. $6USD for 4 …. The whole time my boys are watching and finding this quite funny because they know I will break. Sure enough, I stop. OK, what do I have to lose? I say OK. He says ‘Come on, $10USD for 3’. Nice try. I walk away with 4 for $6USD and two boys who have a very good laugh about my inability to extricate myself from the seller. 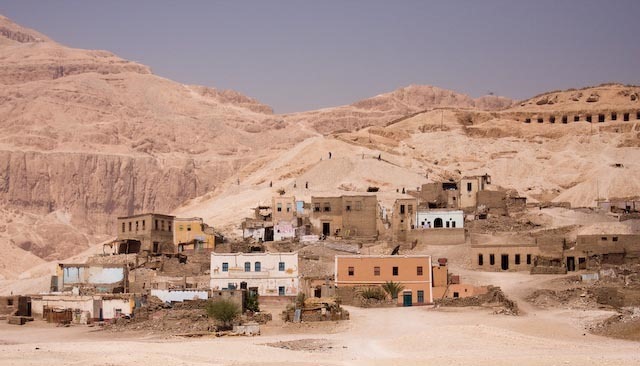 Once our tour was completed we took our guide’s advice and skipped the Valley of the Queens, Deir el-Bahri and the Tombs of the Nobles and headed to the workers village. His logic was simple – Valley of the Queens is just a lesser version of what we just saw and the workers village is under travelled so we will have it to ourselves (he was right). We did drive past the Tombs of the Nobles .. the tombs are in the right hand corner above a village that is being removed by the Egyptian government. The settlement’s ancient name, Set Maat her imenty Waset, means "The place of Ma’at (or, by extension, "place of truth") to the west of Thebes." 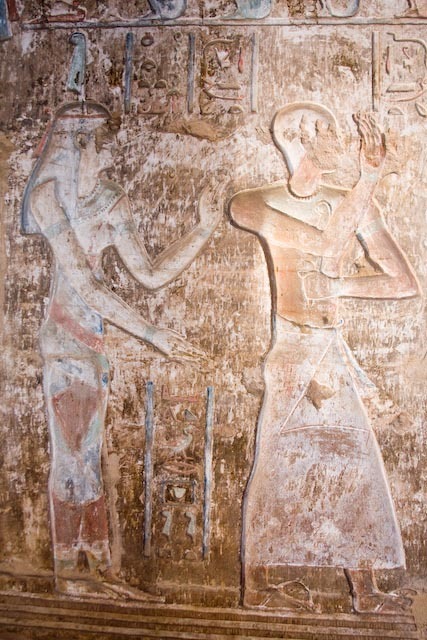 The village is indeed located on the west bank of the Nile, across the river from modern-day Luxor. The Arabic name Deir el-Madinah (and variants on the transcription) means "the convent of the town": this is because at the time of the Muslim conquest of Egypt, the village’s Ptolemaic temple had been converted into a Christian church. One legend maintains that the inhabitants of the village worshiped Amenhotep Ias the founder and protector of the artisans’ guild. 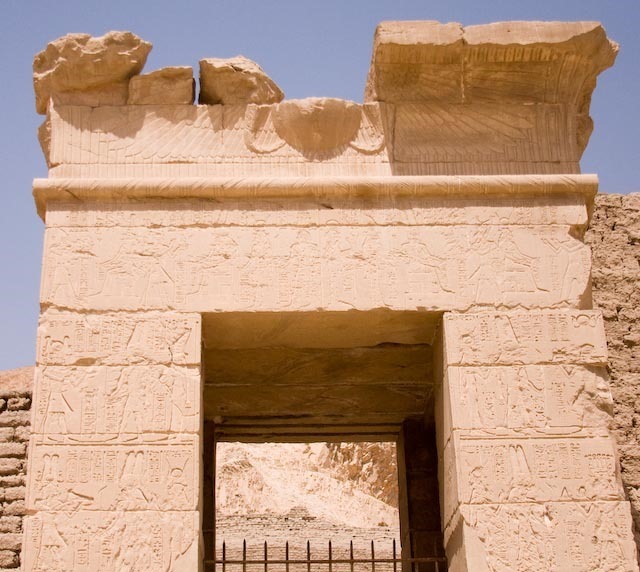 The people of Deir el-Madinah were responsible for most of the tombs in the Valley of the Kings and Queens and the temples of the Theban necropolis. The workmen of the village often referred to themselves as "servants in the place of truth". 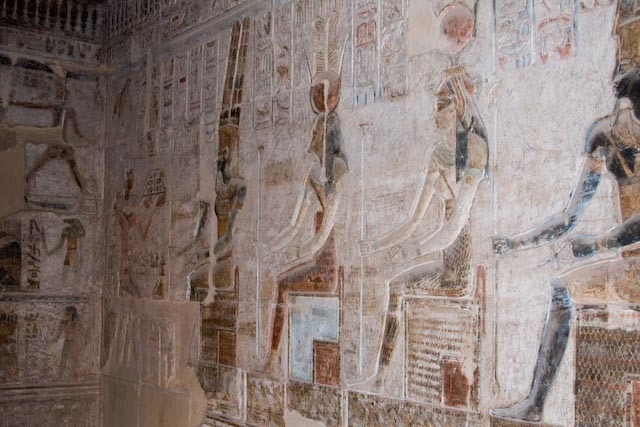 The tombs they constructed included the famous tombs of Tutankhamen and Nefertari, and the memorial temples of Ramses II, Amenhotep III, and Hatshepsut – all of which, in their various states of preservation, can still be seen today. 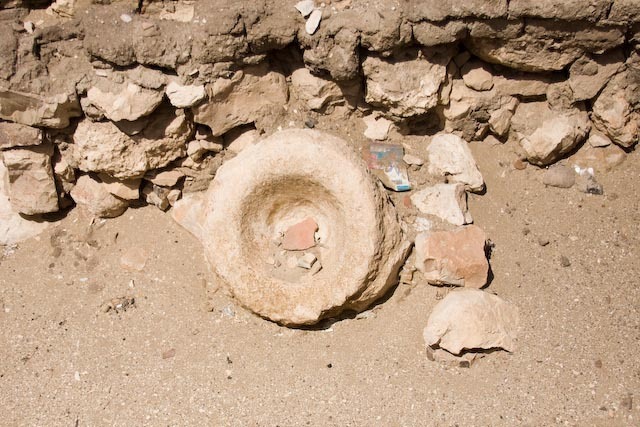 A 3,000 year old kitchen sink. You then have the opportunity to enter their Ptolemaic temple and for the first time, I was allowed to photograph (without flash). (I paraphrase – apologies). The young men of Egypt went to war, leaving behind an old man to guard their women and children. When they returned from war, many, many of their women were pregnant. They took the culprit out into the desert and cut off his limbs, leaving him for dead. Thirty years later, the young men of Egypt, many being his sons, went off to war winning great battles against their enemies. When they returned, the people realized that the descendants of this man had brought great strength to Egypt so they returned to where he was abandoned in the dessert, thinking that they would bring back his remains and properly entomb them. When they came upon the spot where he had been abandoned, they found an oasis. Fertile in life and death. We finished with a tour of the tomb of Sennedjem, one of the lead artisans who spent his spare time building his own tomb. 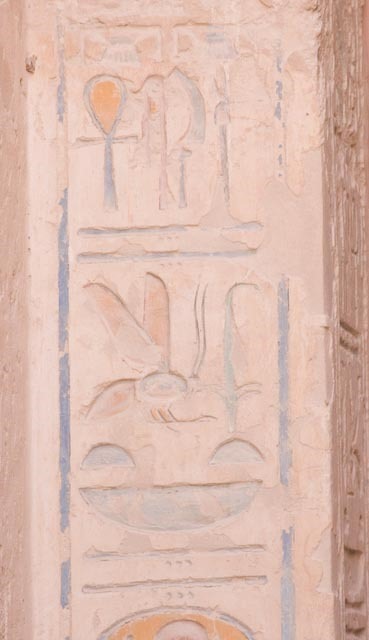 The paintings (which we were not allowed to photograph) were by far the brightest and most well preserved in our tour of Egypt. Another great end to the day. One more day of exploring to go. 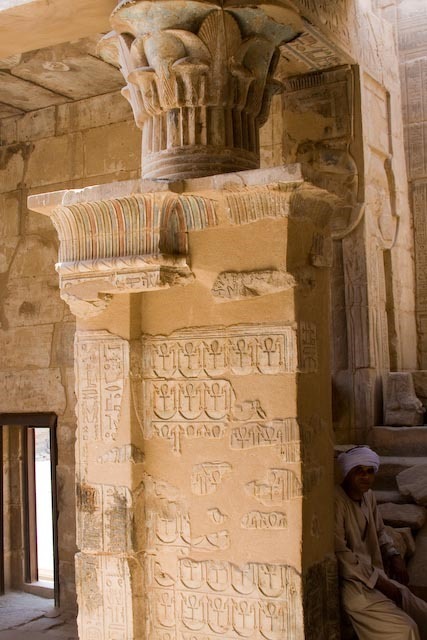 This entry was posted in Travel and tagged culture, Deir el Bahri, Egypt, Luxor, Photography, Ptolemaic temple, Tomb of Nobles, Tomb of Sennedjem, travel, Valley of the Kings, Workers Village by michaelweening. Bookmark the permalink.